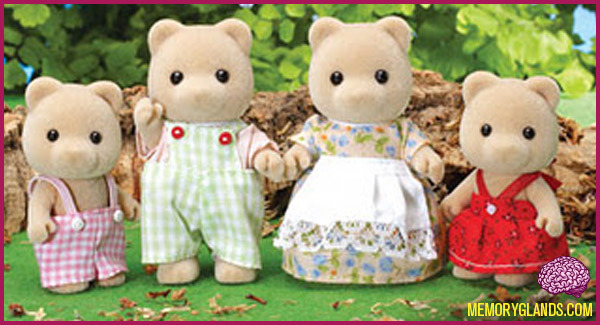 Sylvanian Families is the name of a line of video games and anthropomorphic collectible toy flocked plastic figures, created by the Japanese company Epoch in 1985 and distributed worldwide by a number of companies. The characters, grouped into families, feature woodland creatures such as beavers, hedgehogs, mice, rabbits and bears, although in recent years, they have expanded to other animals such as cats, dogs, penguins, monkeys, koalas and meerkats. They remain a quintessential part of the 1990s boom in craze (or fad) toys. The word ‘sylvan’ means ‘of the forest’.